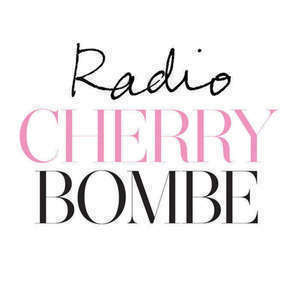 This week’s guests on Radio Cherry Bombe are Victoria Granof, Kerry Diamond & Claudia Wu. Today’s program was brought to you by The International Culinary Center. Classically trained at the famed Le Cordon Bleu in Paris, Victoria Granof worked as a cooking instructor, chef, and pastry chef at restaurants in her hometown of Los Angeles before moving into photography. Victoria has been commissioned for editorial shoots and ad campaigns for clients ranging from Bon Appétit to Kraft, Nestle, Absolut, KitchenAid, and Clinique. She has worked with many of the photo world’s best-known image-makers, launching her career with a decade-long collaboration with the great Irving Penn and later teaming up with Kenji Tomo, Mitchell Feinberg, Hans Gissinger, and Steven Klein, among others. In addition to still images, her portfolio features video, including a number of short, striking motion pieces (a melting popsicle, a sizzling egg, a deconstructed still life) created with Craig Cutler for his “CC52” series of personal work. Kerry Diamond & Claudia Wu. Kerry Diamond and Claudia Wu are the co-founders of Cherry Bombe Magazine. Kerry is also the co-owner of Brooklyn eateries Wilma Jean and Nightingale 9, and the Carroll Gardens’ coffee shop Smith Canteen. Claudia has her own graphic design firm and sometimes publishes Me Magazine. Cherry Bombe is a beautifully designed biannual magazine that celebrates women and foodâ€”those who grow it, make it, serve it, style it, enjoy it and everything in between. It is about sustenance and style and things that nourish the mind, the eye and, of course, the stomach. Our readers, subjects and contributors are passionate about food, aesthetics and the world around them. Cherry Bombe is available at select bookstores, magazine shops and boutiques and by subscription.